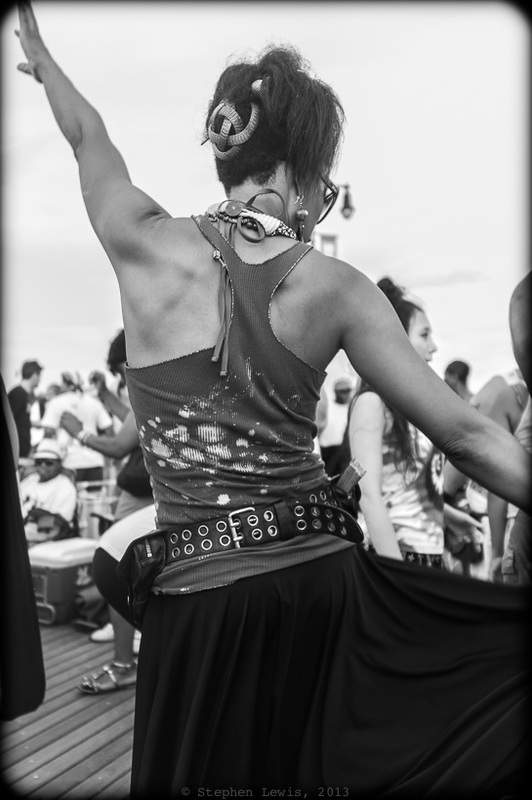 Boardwalk Dance Partner, Coney Island, 2012. (Fuji X100 w/ 28-mm adaptor) Click to enlarge. Don’t just note the dancer! Also note the wood plank surface of the boardwalk, it will form part of the subject of an upcoming post.